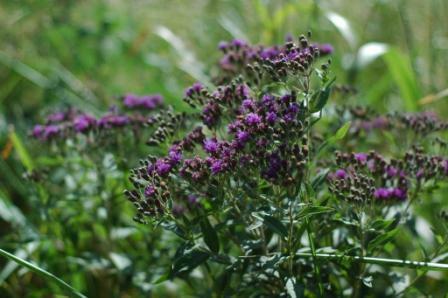 Western Ironweed is a tall perennial, native to the prairies of Texas. Its average height is about 3 to 4 feet. 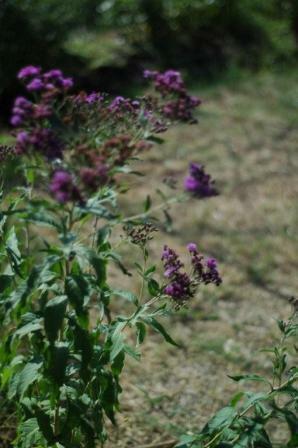 It seems to prefer bottoms and slopes where it gets a little extra moisture, but is also quite drought tolerant. Like all prairie wildflowers, it is adapted to lower rainfall levels. This is a very worthwhile wildflower for the home garden. Plant it in a spot where you would like to have an interesting plant in the garden. Great for attracting butterflies.